I had a snail come right out of his shell, hes out and around like nothing happend, has anybody ever had this happen, and whats the odds of him going back in and his survival rate? 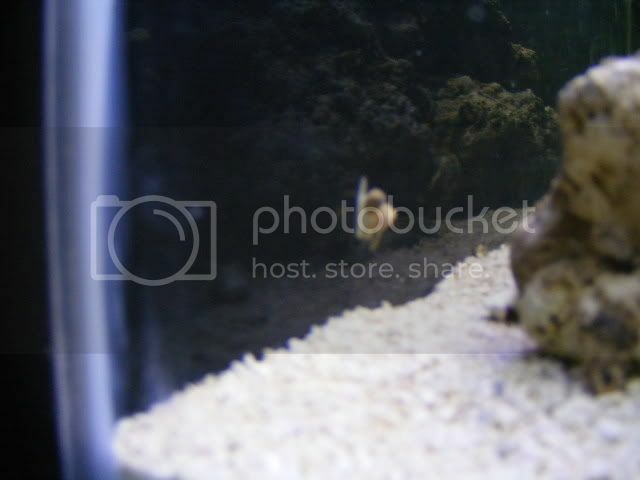 post a pic if you can..
snails are attached to their shell, its there body.. so no shell, dead snail. never seen one detach myself. the shell grows with the snail. its like comparing it to our spine or bones. I'll see if I can get a picture, this thing is up and down the front glass no shell, very freaky looking. some snails have tiny shells that are fairly transparent.. so it looks like it has no shell. It could have hidden inside a larger shell and came out. perhaps a hitchhiker...... please try to get a pic. do you see an empty shell on the bottom?? 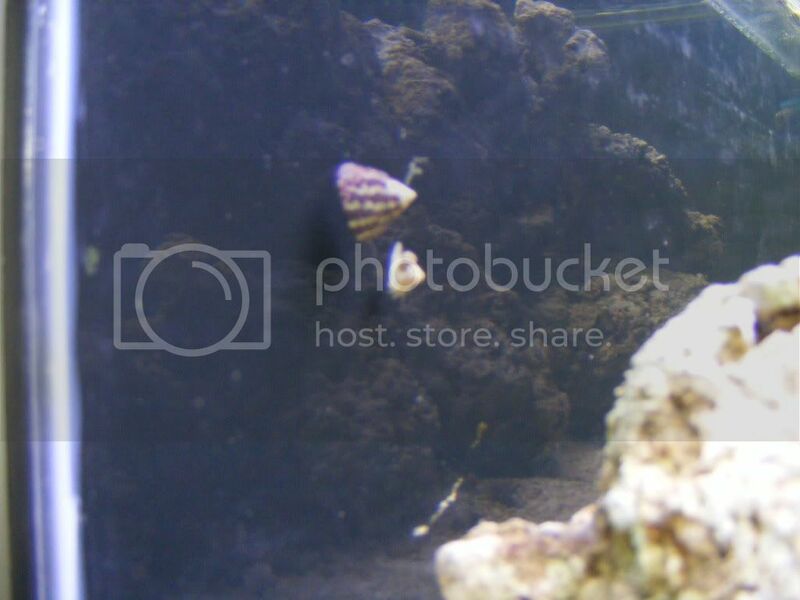 Guys this thing is shelless its shell is on the bottom heres some pictures, its the best I could do with my camera. maybe try re-uniting the snail with his shell. 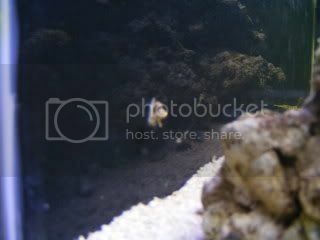 what type of snail is it, looks like nassarius..?? where did you get that trochus?? I tryed reuniting it weit its shell but it had no part of it, Im not sure how long he'll last without a shell, I have hermits in there so hes an easy target and yes he is a nass. I found the trochus at north american fish breeders out in scarborough, not sure if there one of our sponsors but man they have alot of stuff over there, picked up 10 for a buck a peace, these things are cleaning machines.